When I started my internship with Kwanmok Kim, a PhD student, and his advisor, Dr. Peter Frederick, I didn’t know much about oyster reef ecology. I had only recently declared my major as Marine Sciences, so I had a lot to learn in my time in Cedar Key. For my internship, Kwan and I worked on preparing and conducting pilot studies for his dissertation. One of the first things I learned in my internship was the importance of working with the tides in Cedar Key. Oyster reefs begin to surface when the tide goes out, and we could only work on them once they were surfaced, but if the tide got too low, we could also get stuck. 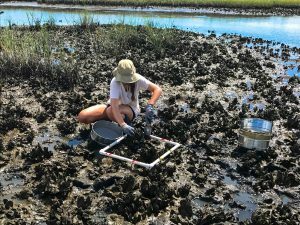 Since becoming familiar with the tides of Cedar Key was crucial for this work, we spent quite a few days exploring the area and seeing where we could reach during low tides. 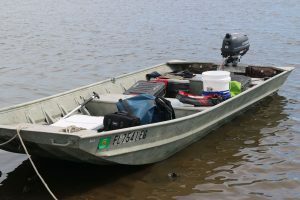 This was also valuable time for me to practice driving the boat, which I had limited experience with before this internship. Once Kwan and I had become familiar with the areas that we could access in low tide, we began practice sampling. We randomly placed quadrats onto the oyster reef and collected samples from each quadrat. 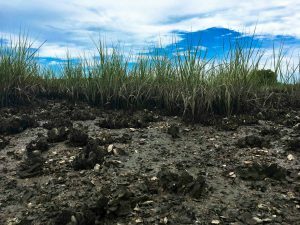 A single sample containing mud, oyster clusters, and organisms was then sieved in nearby water. Organisms from each sample were placed in formalin to be taken to the lab and identified.Once we had established a consistent sampling method, we started to work on some 3D modeling. In order to develop a model of an oyster cluster, I took about 50 pictures each at a slightly different angle. These pictures were then uploaded into Agisoft Photoscan Software and converted into a 3D model. After learning the 3D scanning software, I developed my own model of an oyster cluster. Even as a lower resolution model, some organisms can be seen in the crevices. 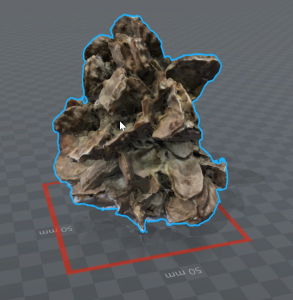 In practice, Kwan will be developing 3D models of the oyster clusters in field samples. 3D modeling will enable him to collect quantitative data, such as the volume or diameter of the interstitial spaces. Interstitial spaces on oyster reefs are the crevices and empty shells. These spaces provide habitat and protection for many organisms, as well as surface area for benthic organisms to attach to. I’ve learned so much about oyster reefs and their importance in estuaries during my internship. 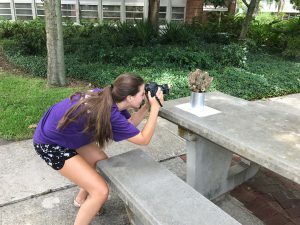 I’m so thankful for the opportunity to get first-hand experience in the field and to conduct vital research as an undergraduate at UF. 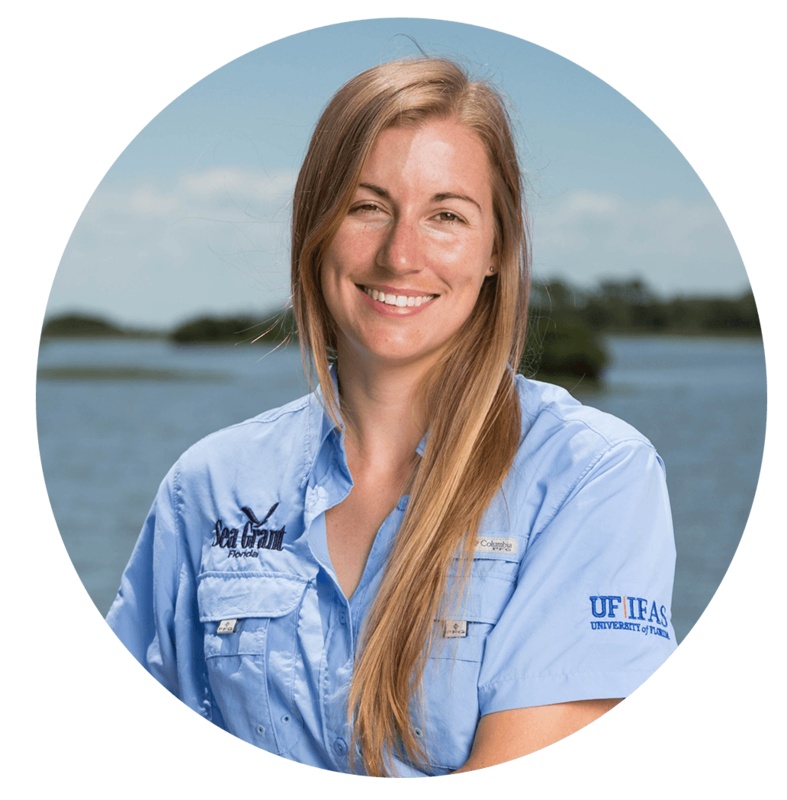 This internship has also affirmed that Marine Sciences is the right field for me, I’ve truly enjoyed my time as an NCBS intern and I can’t wait to see the great progress that comes from our work.